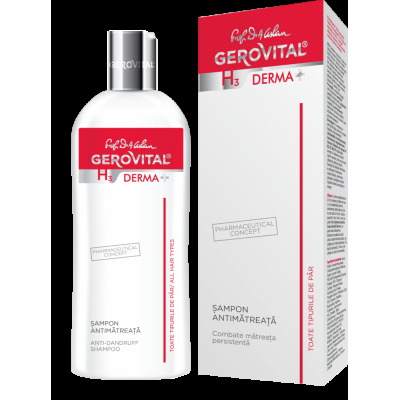 The anti-aging cream has a highly efficient, innovating formula, specially created for the specific needs of a mature skin. It contains bio-mimetic ingredients (oils, fats, natural waxes) with high preventing and reconstructive powers that ensure long term anti-aging effects: the fading of wrinkles, the renewal of collagen and the pure energy needed for normal cell functioning. The use of the Anti Aging Cream Intensive Restructuring will result in a wrinkles free, deeply moisturized, tonified & brighter skin. Recent clinical tests conducted by the French Dermscan Laboratories revealed that the Anti Aging Cream Intensive Restructuring can reduce wrinkles in depth by 24%! Successfully used for the prevention and treatment of age signs, wrinkles, dryness, lack of elasticity and firmmess of mature complexion. Apply this cream in the evening, after a proper removal of make-up, by massaging, to complete absorption. In case of an aged, devitalized skin, you may apply The Anti Aging Cream Intensive Restructuring twice a day in the morning & evening. 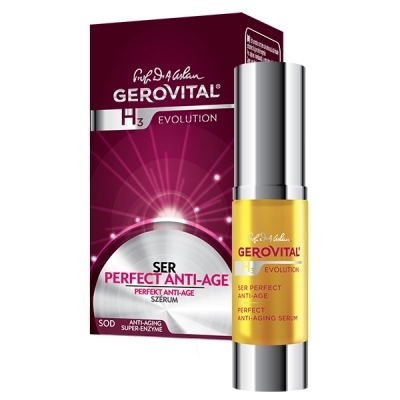 The Perfect Anti-Aging Serum is the top product of the Gerovital H3 Evolution cosmetic line. 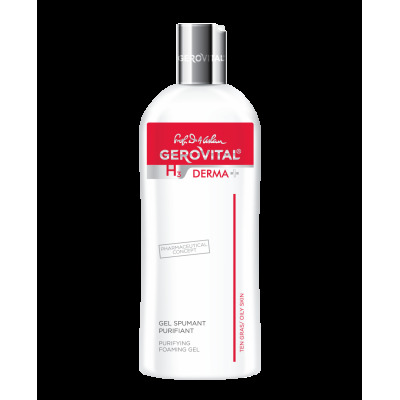 It highly diminishes wrinkles, obtaining a firm and moisturized skin. 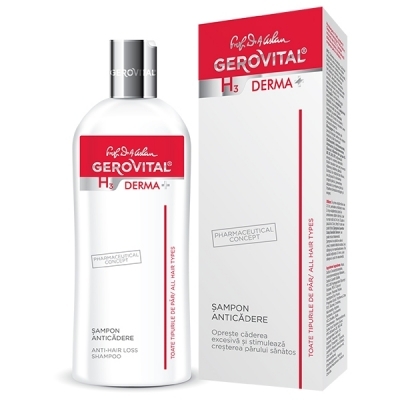 The immediate anti-aging impact is the immediate reduction of wrinkles, faster than any other comparable cosmetic product, due to the action of the Gatuline Expresion extract and the liposomes with Hyaluronic Acid. 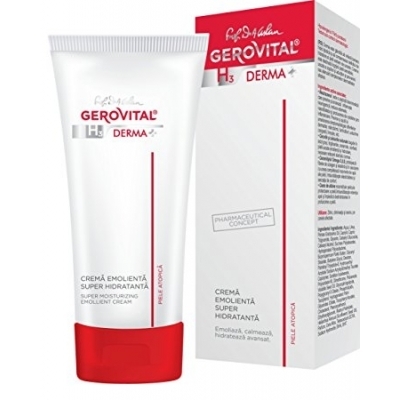 The long term anti-aging effects are a result of the original anti-aging formula (based on Superoxide Dismutase, Trylagen, GP4G) that initiates structural changes in the collagen fibres, therefore preventing the wrinkles appearance, while also ensureing the needed energetic support and anti-oxidant protection. The Perfect Anti-Aging Serum should be used daily in the morning & evening after the cleaning and toning of the face's skin. 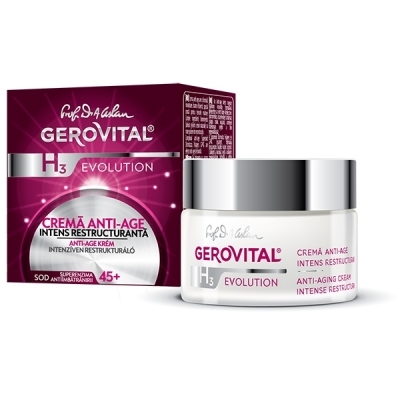 The best results are obtained when the Perfect Anti-Aging Serum is associated with the day care Gerovital H3 Evolution Nourishing and/or Moisturizing creams. 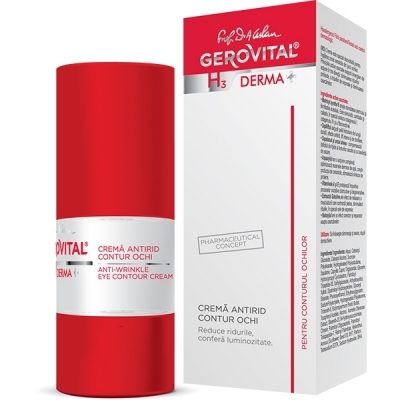 This cream prevents and reduces the aging process of the skin, having a great geriatric impact. 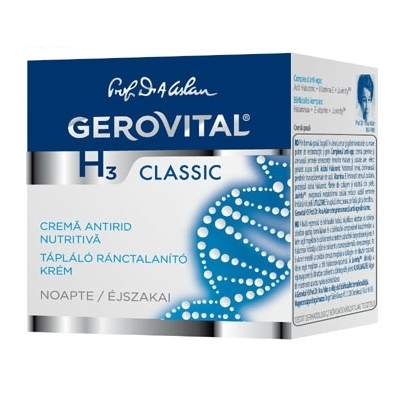 Thanks to the H3 anti-aging complex, mixed with a complex rich in natural oils, waxes and fats with high reconstruction powers, the Gerovital H3 Nourishing Anti-wrinkle Cream contributes significantly to regenerating the skin cells, obtaining and mentaining a young, fresh, elastic look for the next days. Hyaluronic Acid: moisturizes the skin, reduces transepidermal water loss. Juvinity: reinvigorates cellular metabolism, visibly reducing the signs of skin aging. Apply daily, in the evening, on the face, neck and decolletage. Skin type: Dry skin, Mature skin, Normal skin. 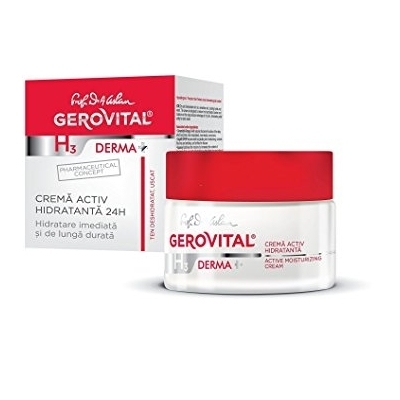 The Anti Wrinkle Highly Moisturizing Cream with UV Protection SPF15 provides powerful anti wrinkle effects, intense deep moisturizing and enhanced UV protection due to the smart combination of its versatiles ingredients. 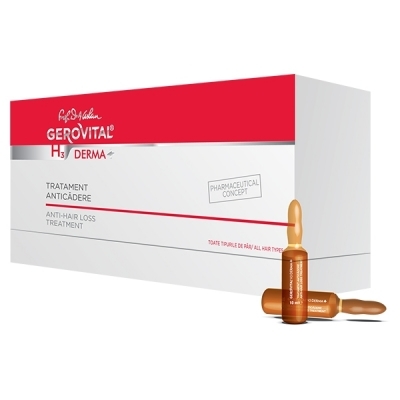 It replaces the decrease in skin vitality prolonging its youthful aspect. The anti-wrinkle system ensures the pure energy needed by the cells, antioxidant protection and renewal of collagen. The association between its great ingredients incldued in the formula, ensures the deep tonifying effect and increases the capacity for preserving the water inside the tissues. 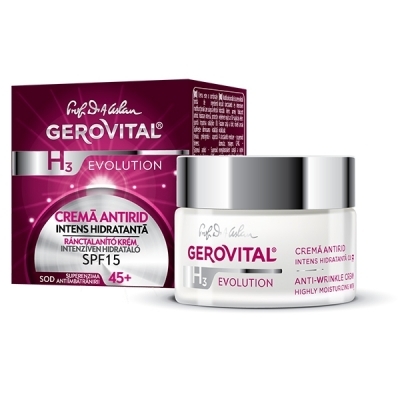 The Anti Wrinkle Highly Moisturizing Cream with UV Protection SPF15 is an excellent make-up base and it should be applied in the morning on the face, neck & decolletage after a correct make-up removal. Dry and dehydrated skin is a sensitive skin, lacking lipids and water. The cream is designed to restore the hydrolipidic barrier and balance out the deep moisture shortage of dry skin, stimulating cells’ ability to retain water. 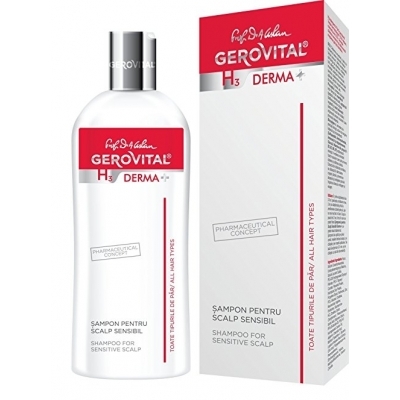 DERMA+ Shampoo acts both on the causes that lead to dandruff and bad effects due to this "condition". Zinc Pytithione and Octopirox limit the proliferation of the Malassezia fungus. Biocapigen regulates sebum secretion. Hair loss is on the list of problems faced by many people, both women and men, not an insignificant problem when the amount of hair lost exceeds the normal limits. Alopecia is caused by many factors such as: improper diet, vitamin deficiency, various diseases, immune disorders and hormonal disorders, pregnancy, inadequate treatment applied to hair (excessive paint, fading), stress, etc. 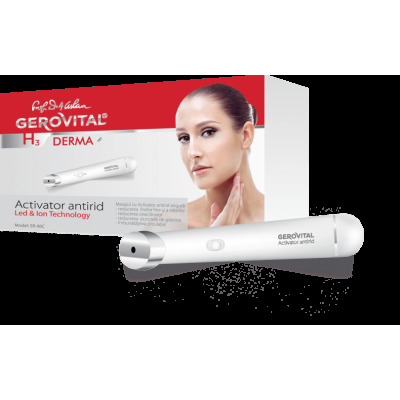 Anti-Wrinkle Activator is an electrical device with high-frequency vibrations, which uses advanced technology to prevent and reduce wrinkles, based on positive and negative ions. 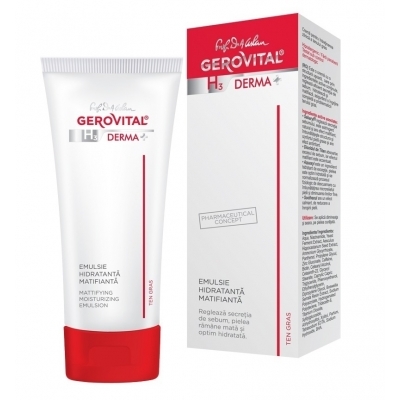 The cream is specially developed for the care of sensitive area around the eyes. The associated active principles ensure synergistic action in three areas: reducing deep wrinkles, expression wrinkles and dark circles. Excessive hair loss is due to several factors such as: improper diet, vitamin deficiency, various diseases, immune disorders and hormonal disorders, pregnancy, inadequate treatment applied to hair (excessive paint, fading), stress, etc. 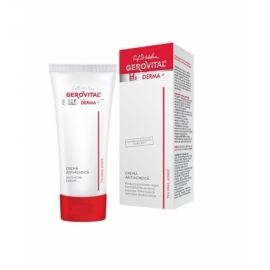 The cream is developed for the care of wrinkled complexions, lacking firmness, young or mature and it stimulates extracellular matrix essential protein synthesis. Thus, it increases the density of the dermis and its firmness, it has anti-wrinkle, regenerating and restructuring action, protecting against the destructive processes triggered by free radicals, and toning effect. The Body Cream for dry skin is designed to restore the hydrolipidic barrier and compensate for the hydration deficiency of extremely dry skin. 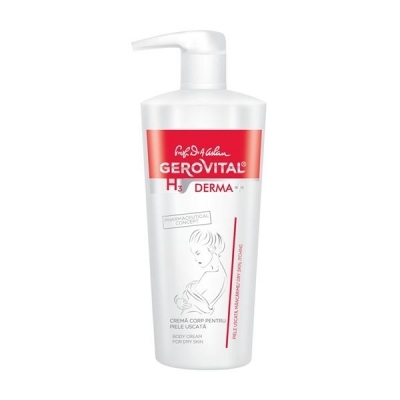 Encountered both in children and adults, a dry sensitive skin is the consequence of a complex of internal and external factors, including the genetic factor. Regardless of contributory factors, this type of skin always shows an altered skin protective barrier. 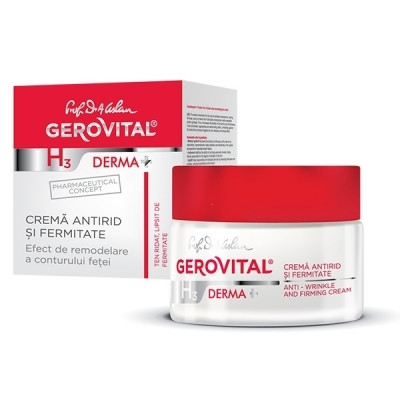 The cream is recommended to accelerate epidermal repairing processes of the skin of adults and children with irritation or superficial injuries. The cream’s light, waterproof formula isolates the skin from the external environment and allows the application on recent scars, superficial wounds or minor trauma. The skin is soothed, protected, and the healing is accelerated. It is a lightweight cream, which according to its active ingredients, effectively regulate sebum secretion, mattifying, moisturizing and assuring a full care of oily skin problems. 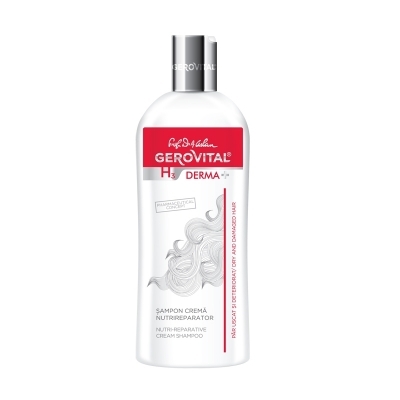 Dedicated to dry and damaged hair, meant to nourish, repair and strengthen hair. The gel cleanses and purifies the skin, leaving it optimally hydrated. The Mask-Cream has a high content of nutrients and emollients that restore skin's hydrolipidic protective film. The mask contains active principles with immediate anti-irritant and relieving action that recommends it for the desensitization of irritated skin to soothe epidermal irritations. The cream is designed to restore the hydrolipidic barrier and balance out the lack of moisturizing of the extremely dry skin. 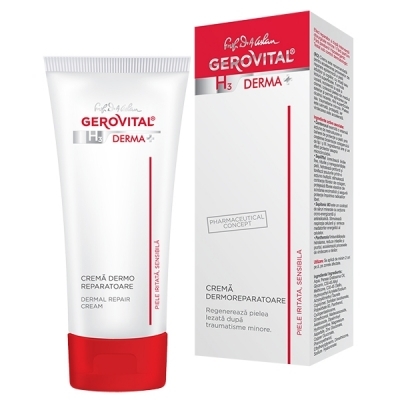 The cream is intended for the care of sensitive, dry skin of the children and adults and to prevent or alleviate the symptoms of atopic dermatitis.